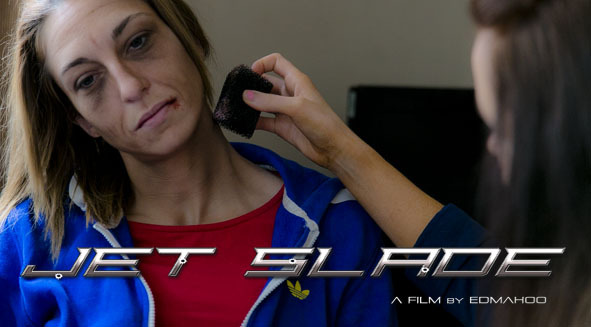 Jet Slade: Rise of the Black Hood, is an action packed short film by director Edmahoo. 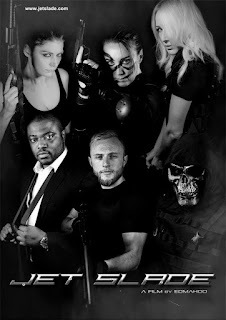 A new crime syndicate has overun the city, a dark force has appeared and Slade Enforcers are going missing. 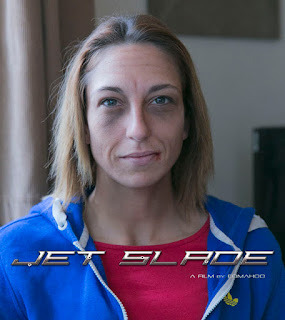 The clock is ticking and time is running out, will Jet be able to find the strength to stop this dark and mysterious figure, known as the Black Hood. Katie Wood, Zoey Cook, Roman Domurad, Stephen Johnson, Emma Preston, Hena Mikeal, Lynsey Jayne. It can seem quite daunting especially when you have to start matching up the different scenes. Depending on your film, you may have had to go back on location to re shoot a scene, and maybe the weather/lighting conditions may have changed slightly. Most cameras nowadays keep a log of the settings used for each scene you film, this comes in handy if you ever need to check your settings as a guide. 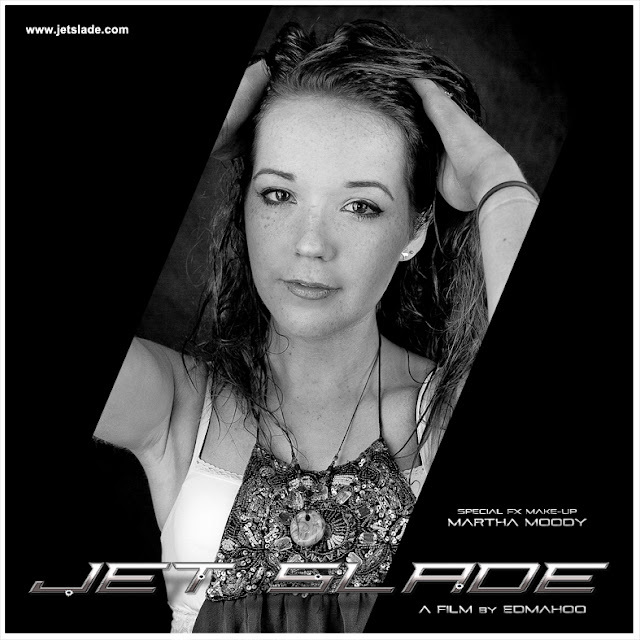 To the left is an example of a frame taken from a scene of Jet Slade, showing three stages. 1. Flat: Shows the original footage (how it was recorded) Flat. 2. Grade: Is an example of a grade. 3. Final: Anamorphic bands. Make sure when you're filming, you allow enough headroom in your shoot in prep for when it comes to post production, especially if you decide you want to add this. Most new monitors have different settings that will allow you to overlay your screen with 'Safe Areas'. This is very useful and saves time in the edit suite. 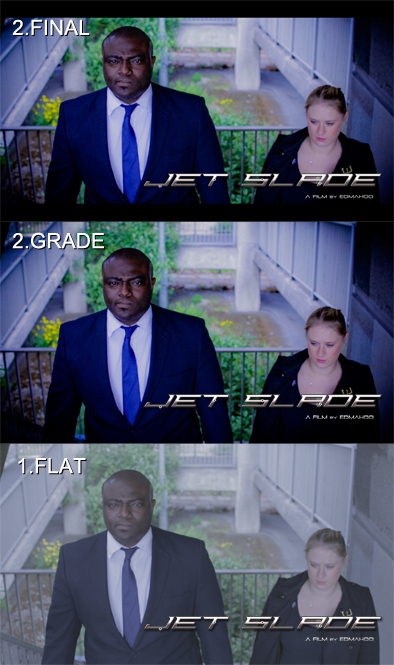 Grading can be a very complex process.., skin tones, background, blacks, blues, greens, reds etc. Be familiar with and understand the way your camera footage looks as it won't be the look you're after, especially straight out of the camera, although when viewing it back you might be satisfied with it... Grading brings your film alive! Social Media can be very helpful and guide you on your way. It can sometimes be quite daunting when for example, you've seen a film you like and it is filmed on a particular camera. You might be inspired by this and decide you want your footage to look quite similar... Don't feel disappointed when your footage doesn't look the way you want it to look, a lot may have gone into the process of making your inspired footage look the way it does. Research is the key and don't be afraid to ask questions. Thanks for reading, I hope this helps and gives you an insight into your next project. When it comes to writing a scene for Jet Slade, Ed the director has all of the ideas in his head. This might seem a little strange to some, but he knows exactly what he wants to see and visualises everything before he writes the storyline and scripts for the actors involved. He is very specific in how he wants his actors to look, dress and even down to their stature of how they pose. There always seems to be a method to his madness, as everything seems to turn out right when it comes to viewing the edited scene... Though some of the actors may seem a little skeptical at times, they have become accustomed to his bizarre methods of working! It wouldn't look believable in a fight scene if none of the actors didn't show an aftermath of cuts and bloody noses. 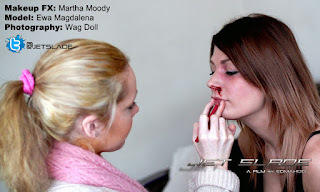 This is where our Special Fx Make-Up Artist Martha steps into action and saves the day! 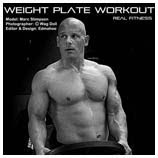 Below are a couple of images of Martha's work. Clicking on the 'Make-Up' link above will take you to her page. Thanks for reading, we hope you've found this useful. As an independent filmmaker, working on a tight budget. You have to come up with ways of saving those extra pennies. Director Edmahoo is always coming up with different ideas, especially when filming on set. He has a term that he always uses, especially when something goes wrong and he has to come up with an idea to solve it... He calls it "Battle Zone". If you're on location, miles away from home, what do you do if something breaks, someone accidentally steps on a cable, maybe you've forgotten something? It can easily happen! You can't just nip to the corner shop or order something online and expect it to be delivered that day... I suppose, if you're working on a Hollwood budget then things might be a little different. 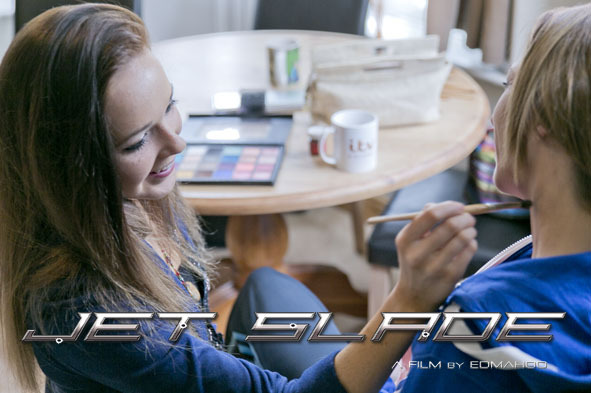 Ed is not just the director of Jet Slade, he brings an arsenal of knowledge with him too. It's important to carry extra cables and tools to help you solve problems that could occur. This video shows you 'how to make a windshield for a lavalier microphone.' You can use different colour foam, white is used in this video. We hope this video has helped someone... Please show your support by Subscribing to our Youtube Channel and liking our Facebook page.